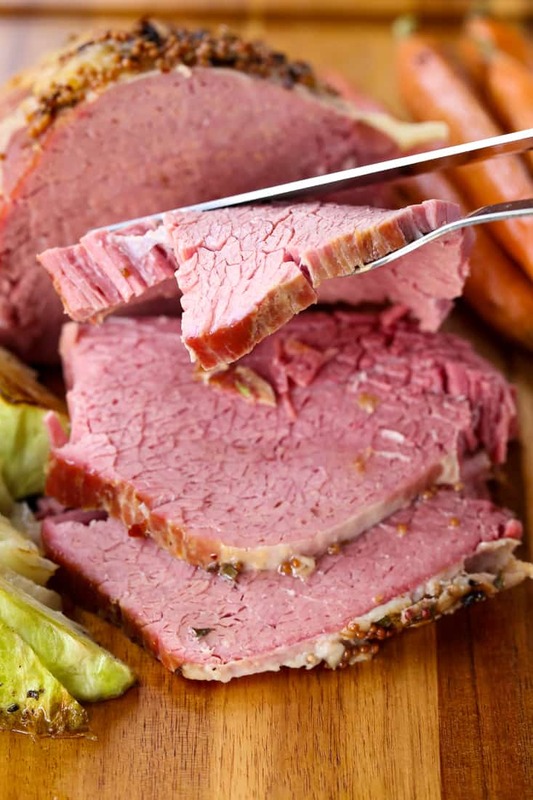 This Crock Pot Corned Beef recipe is too good to only make once a year! 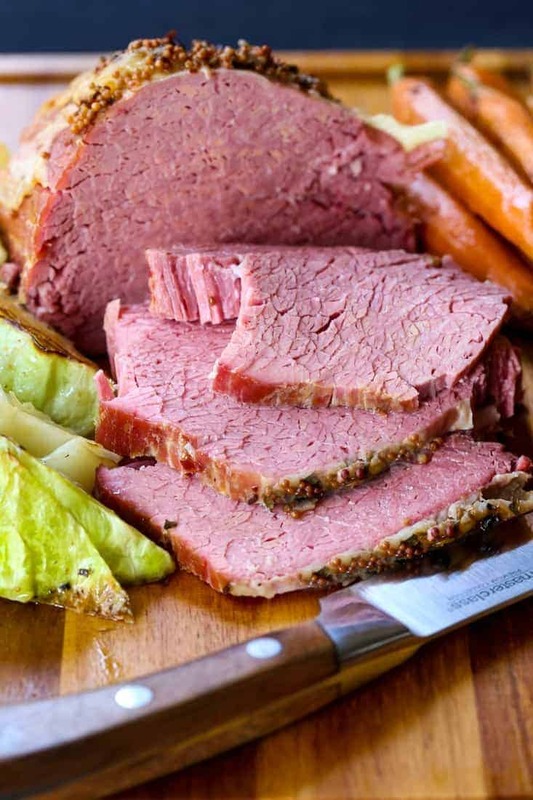 This corned beef recipe is so easy, you’ll be making it for dinner all the time! 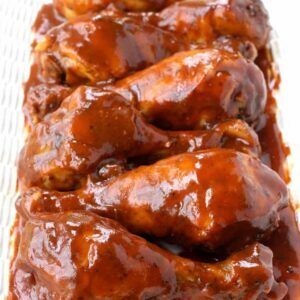 We love easy crock pot recipes like this for dinner. Also try our Crock Pot Sausage and Peppers for the most tender, juicy sausage or these Overnight Slow Cooker Ribs – both perfect for parties! Making corned beef in your slow cooker or crock pot is such an easy dinner recipe for parties or just a family dinner at home. There’s really not much more to it than adding the corned beef to a crock pot along with the spice packet and some water, broth or wine. You only want the liquid to cover about half of the corned beef, not completely cover it. This will create a braised or roasted effect instead of boiling the corned beef. I like adding cabbage and potatoes to the crock pot too, but not until the last 3 hours of cooking time. Otherwise your potatoes and cabbage are going to get too mushy. But the cabbage also adds a ton of flavor to the corned beef as it is cooking. The potatoes will be tender and flavored with the broth from the corned beef, we like smushing them on our plates and adding a few slices of butter. 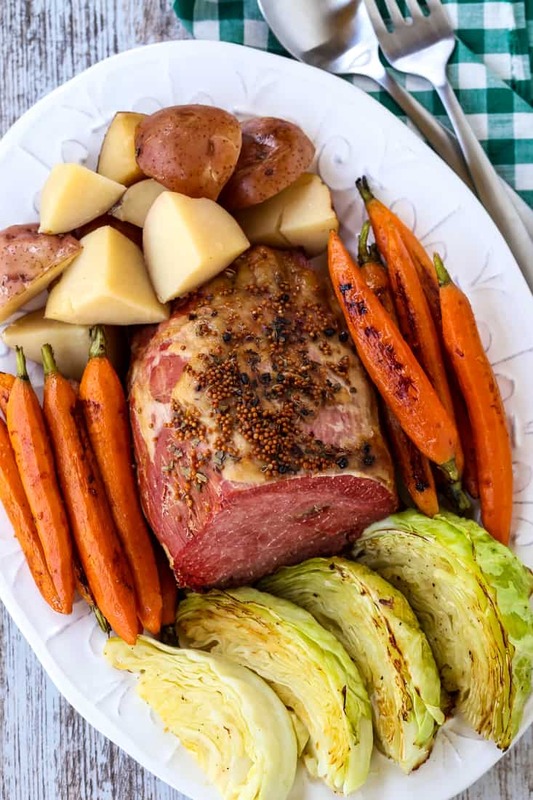 You can also try our Roasted Cabbage Recipe if you like some more flavor to your cabbage, but definitely add some to your crock pot too so it can add flavor to this easy corned beef recipe. What Is Corned Beef Made Of? People are confused about corned beef. I get it, I was too. Corned beef is made from a cut of beef called brisket. Brisket is a tougher cut of meat so it’s normally braised or smoked, or used in slow cooker recipes or in this case brined. Corned beef is made though a long curing process that uses large pieces of rock salt, otherwise known as corns. The “corns” are mixed with a liquid marinade called a brine. Then the corned beef can be cooked using your method of choice, producing a very tender cut of meat. How Long Does Crock Pot Corned Beef Take To Cook? 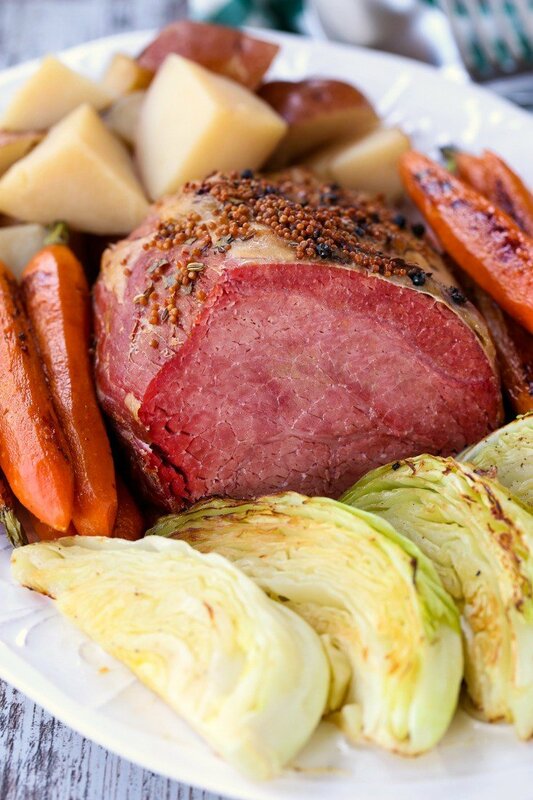 Ideally this corned beef recipe is better cooked on the low heat setting. I feel like it makes for a more tender, flavorful corned beef. You can cook this recipe on the high heat setting, for about half the time, and it still will be super delicious. But if you have the time to let it cook the low setting is the better choice. All around if you’re looking for a super tender corned beef, this crock pot recipe is the way to go. I do like corned beef cooked in the oven, too, there’s definitely a place for that. Can You Overcook Corned Beef? Like many low and slow cooked foods, people tend to think that you want a falling apart, “falling off the bone” texture. This might apply in some cases but for the most part, you want t super tender end product but if you cook it too long the meat will end up mushy. 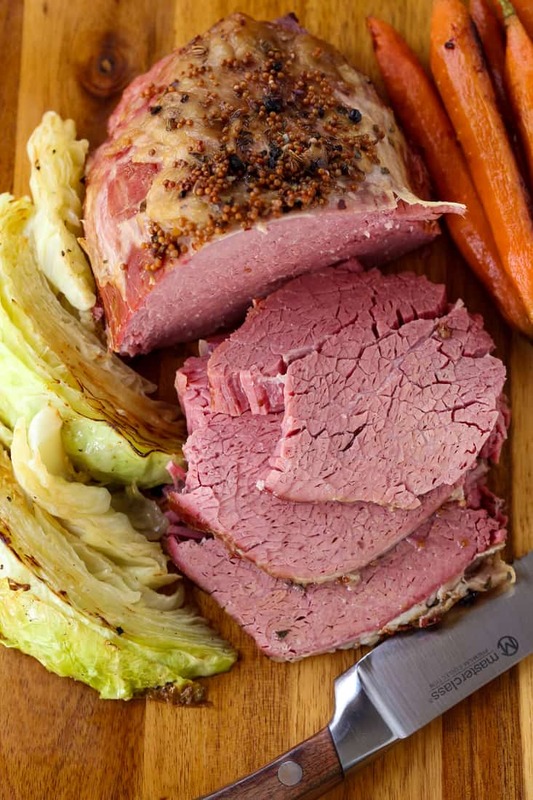 Been there done that, which is why we love using this easy corned beef recipe because it comes out perfectly every time. Still in tact enough to slice, but very tender. But for fork tender, crazy juicy hands-off corned beef, it’s the slow cooker for the win. Because we know you’re busy making all the side dishes and fun food for your St. Patrick’s Day party…you don’t need to be worrying about the corned beef in the oven, too. What Can You Serve With Corned Beef? This crock pot corned beef comes with the sides already! We also love roasting carrots in the oven with salt, pepper and olive oil. 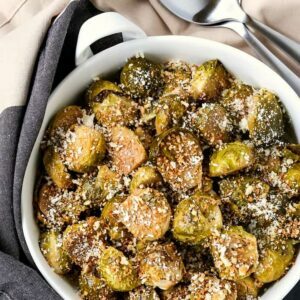 But here are some other great side dish recipes fro you to choose from! Leftovers? We’ve GOT you. Any of these leftover recipes are going to be a hit! We actually find ourselves making larger pieces of corned beef than we need just to make these delicious leftover recipes! 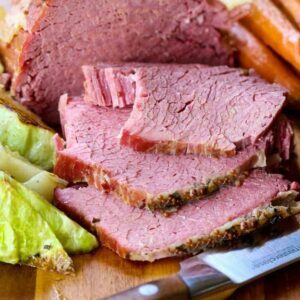 This crock pot corned beef recipe is so tender and juicy, you won’t want to make corned beef any other way! Add the corned beef to a crock pot. Sprinkle the pickling spices on the top of the corned beef. Pour in the wine and chicken broth, then add water to come about halfway up the side of the corned beef. After 4 hours, add the potatoes and cabbage to the slow cooker, tucking down into the liquid. Cook for another 3-4 hours then remove the corned beef to a cutting board. Place the cabbage and potatoes into bowls, then slice the corned beef and serve.